How Much do You Know about Steve Jobs? Since 1961, when the Russian cosmonaut Yuri Gagarin became the first human being to go out into space, only 560 more people have experienced a similar thrill, a collective achievement that reached its zenith when the American Neil Armstrong stepped on the surface of the Moon in July 1969. After decades without any big headlines about daring feats of astronauts, the videos of Canadian Chris Hadfield performing daily experiments in zero gravity and playing Space Oddity on his guitar on the International Space Station (ISS) have revived the fascination of being part of the remarkable group of people who travel to space. But what does one actually have to do to become an astronaut? The last time that NASA sent out a call for astronaut applications was in 2017. It received an avalanche of more than 18,000 applications, from which it chose 12 people who met the following characteristics: have a degree in engineering, biology, physics or mathematics; have three years of experience in their field of specialty; and pass an exhaustive physical examination. They also had to demonstrate skills of leadership, teamwork and communication. At present there is no age restriction and it is only necessary to have enough flight hours if one is to be a commander or pilot. 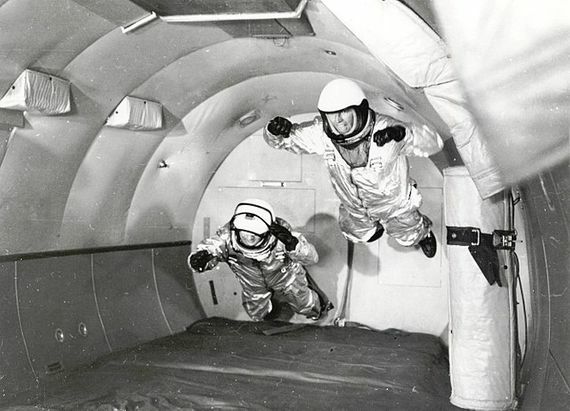 The chosen dozen are currently going through a demanding two-year training program, in which they are being prepared to endure the exceptional conditions of living in space (training in vacuum chambers) and learning to manoeuvre their bodies under conditions of weightlessness (achieved in impressive parabolic flights). They must also learn, among many other tasks, the complex functioning of the ISS. 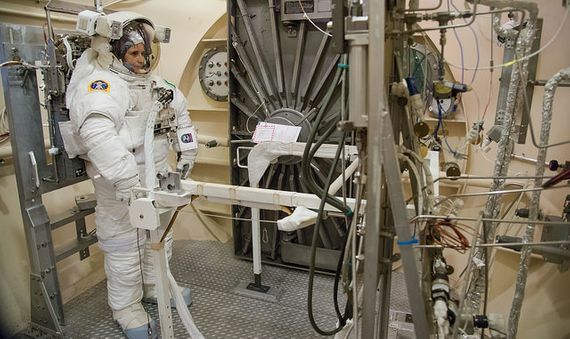 NASA is not the only space agency looking for recruits to be astronauts. The ESA (European Space Agency) also accepts applications, as does the Russian FKA (Federal Space Agency, better known as Roscosmos) and the Chinese CNSA (China National Space Administration). In total, there are 40 countries that have sent one or more of their citizens into space. This means overcoming the Karman line, the boundary between the atmosphere and outer space situated at 100 km above sea level. “Experimentally, I let go of my checklist for a few seconds and watch it hover, then drift off serenely, instead of thumping to the ground. (…) I am in space, weightless, and getting here took only eight minutes and forty-two seconds. Give or take a few thousand days of training,” writes Hadfield about his experience. The Russian foreign commander Guennadi Pádalka holds the record with 879 days in orbit. Although the most attractive thing about being an astronaut is that they get to go to space, the truth is that they spend almost all their time working on the ground. The day-to-day life of this elite profession consists of identifying and correcting faults of other astronauts, helping to solve technical problems experienced by colleagues in orbit and creating new tools and procedures for the future. They also receive training, classes and undergo tests. Merely going out into space does not make someone an astronaut. 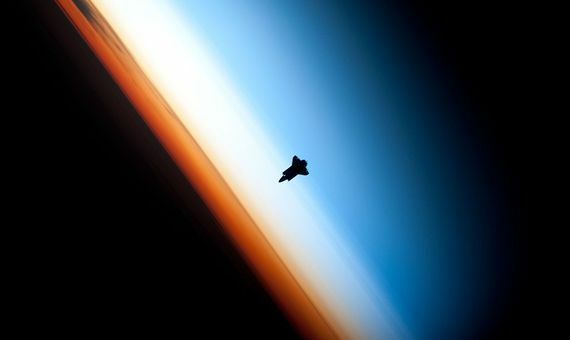 In fact, since 2001, a person can become a space tourist if he pays between twenty and forty million dollars. The trip includes leaving the Earth on the Russian Soyuz and spending about 10 days at the ISS, after around six months of instruction. The long and conscientious preparation required to be an astronaut endows them with qualities difficult to obtain in any other way. “Over time, I learned how to anticipate problems in order to prevent them, and how to respond effectively in critical situations. I learned to neutralize fear, how to stay focused and how to succeed,” says Hadfield in his biography. Undoubtedly, this is a challenge and a dream for those of us who will, perhaps, never cross the Karman line. How Does Space Affect the Human Body?